This paper masking tape is the perfect protection to stick on surfaces when you're decorating as it can easily be removed. Also useful for light duty labelling or attaching, the low tack adhesive paper tape tears off the roll easily. Not what you're looking for? 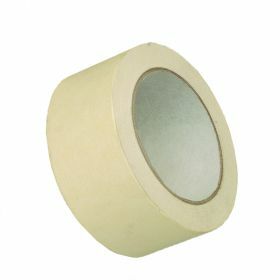 Our 38mm x 50m low tack masking tape provides a convenient and safe solution to protect various surfaces during decorating. Supplied in packs of 6, the paper masking tape tears off the roll easily and can be used for crafts, attaching or light duty labelling.